Shakeology is packed with all of the nutrients you need to get you energized and ready to go and there are NO CHEMICALS! I have a really hard time with health companies trying to get everyone to buy their shakes when they are packed with fillers, artificial flavors, and chemicals. How can you advertise that you are fueling our bodies to get healthy while filling them with crap?? Shakeology is just the opposite! It has all of your proteins, antioxidants, and superfoods! It has kale, quinoa, spinach, flax seeds, chia seeds, biliberry, acai, pomegranate, gogi berry, maca root… and so much more! This powerful drink helps regulate your digestion, carb cravings, lose weight or maintain weight depending on where you are in your journey. It is a meal replacement or a snack replacement and is used to replace something in your day you are already using. So for example, if you go to the coffee shop every day and get a latte, this would replace that! It’s delicious too!! It comes in 6 flavors with a latte flavor debuting in Jan. 2016! There is chocolate, vanilla, strawberry, greenberry (one of my favs but not everyone agrees; it has an earthy taste to it), vegan strawberry, and vegan chocolate (my absolute fav!!). I suggest that you choose whichever flavor makes you happy! However, I recommend the vegan options sometimes because there is no dairy in them. I have a dairy sensitivity anyway but especially when you are trying to lose weight, dairy bloats your stomach. They come out to about $4 a day for the drink. You WILL NOT find any meal anywhere on the market that provides you with such high-dense nutrition for only $4; not at a drive-through and not at a whole-organic market. For just $4 a day, to replace a meal or snack you are already spending money on, you can have all of the nutrients, energy, regularity, and power to make each day happy and healthy. 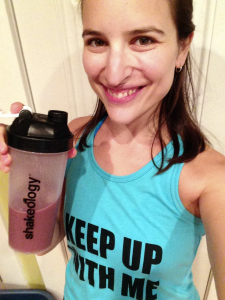 “I made an unexpected discovery about Shakeology that I’m sure is not a surprise to you. I lost 5 lbs. since I started and I have so much energy! I’ve been wanting both of these and so far it has only happened by adjusting my thyroid meds. This is more dramatic! Thyroid levels haven’t changed, so Shakeology must be it! It’s been hard to get going since I haven’t had a job to go to every morning. 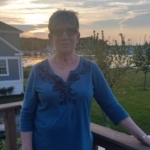 Problem solved!” – Marge H.
What’s holding you back from the results you want? Are you tired and sore? Hitting a wall too soon? Can’t recover fast enough? Now, get ready to blast through your toughest workouts. To absolutely crush every goal. Because Beachbody Performance is taking the supplement industry…and turning it on its head. Help accelerate recovery and promote muscle growth while you sleep. Hammer out more reps, help boost muscle strength and power, and blast through high‑intensity exercise. Take Creatine for extra strength that can turn your last rep into the second or third last rep. It’s scientifically shown to help boost muscle strength and power, improve high‑intensity performance, and enhance the effects of resistance training. This is the purest, safest, and most effective form of creatine in the world. Now you have the power to customize your Shakeology with our new line of boosts for even healthier results. Focused Energy Boost gives you an effective pick-me-up in a gentle way without compromising your health.Power Greens Boost fuels your body with a full serving of nutrient-dense veggies and exotic greens. And Digestive Health Boost helps support your digestive health with a potent blend of soluble and insoluble fiber.